One of the defining features of the Mega Man series is that fact that players can tackle the Robot Master bosses in any order. Each boss gives Mega Man a new special ability, which proves to be highly effective on one of the other Robot Masters. 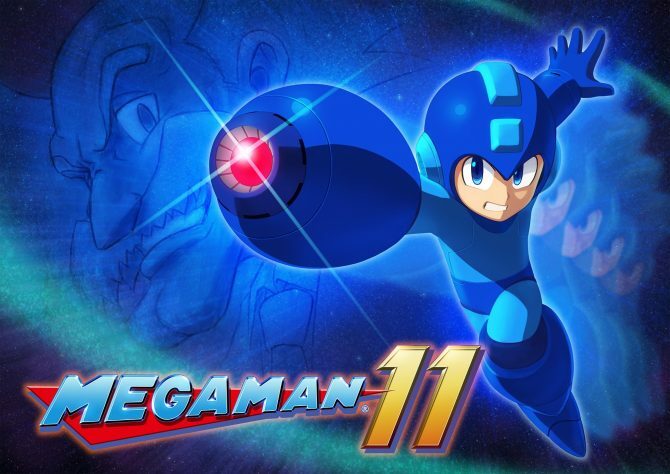 Mega Man 11 bring the series back into the limelight tomorrow, and its Robot Masters work just like you remember. All of the Robot Masters are completely new and feature creative abilities for players to mess around with and use for offensive, defensive, and traversal purposes. For those picking up the game tomorrow, I wanted to provide a helpful boss order so you don’t have to go through the trial and error of trying every ability on every Robot Master and stage. Now, let me go more in-depth chronologically and explain why this is a good boss order to make your way through Mega Man 11 with. 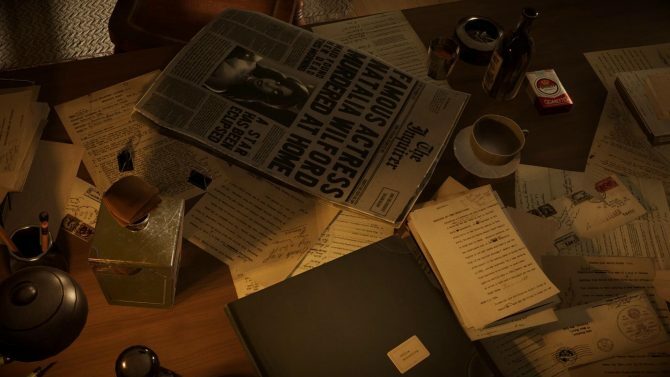 Do keep in mind that you’ll find elements below that can be considered spoilers, for obvious reasons. 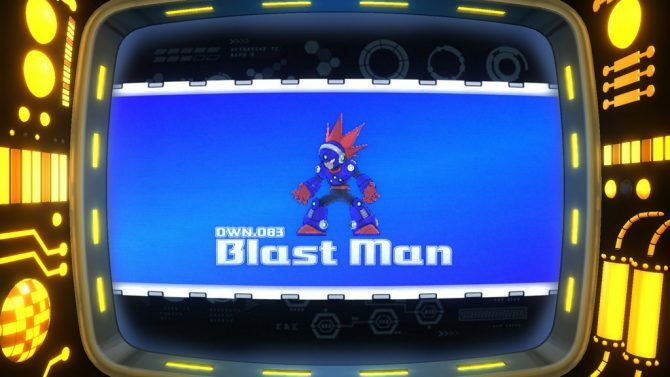 We start with Blast Man for a variety of reasons. While the rampant (and expected) explosions and fast mid-boss within his stage might scare you off at first, there’s not much to fear if you tread carefully and plan your movements within each room. 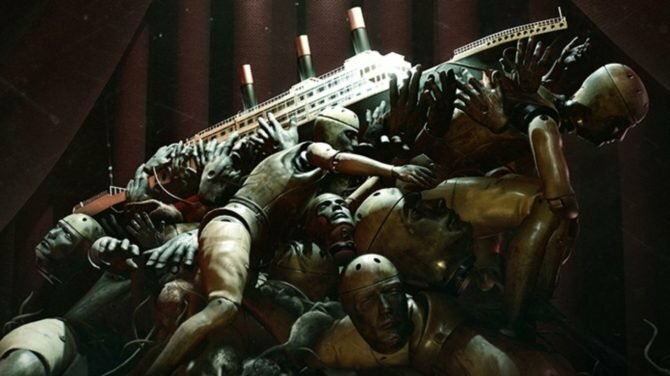 This stage also has a lot fewer instant-kill opportunities than most of the other stages, so while it will keep you on your toes, it isn’t overly punishing. Blast Man weak to Blazing Torch, Torch Man’s power, but Torch Man’s stage is significantly harder so I’d recommend starting here. By beating Blast Man, you’ll gain access to Chain Blast, which lets you shoot bombs that will attach themselves to nearby enemies and chain them for more damage. 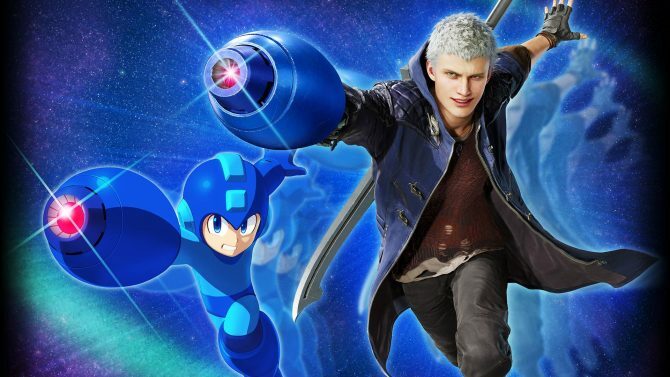 They are especially helpful (and deadly) to the next boss, who has been featured heavily in the game’s marketing and Mega Man 11’s demo. 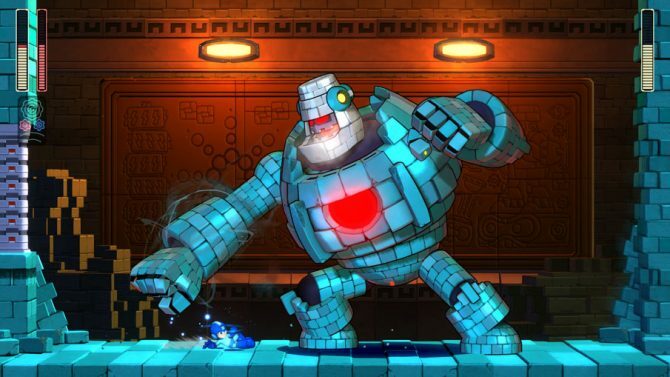 Block Man’s stage is fairly standard as Mega Man stages go, but it should give you a good taste of all the different powers at your disposal, like the Rush abilities and slide. That being said, the stage is still littered with tough enemies, a strong mid-boss, and several death pits, so it isn’t a cakewalk. While Blast Man’s Chain Blast is slow, only benefiting players a couple times in the actual stage with a few tough enemies, it does really well against Block Man. 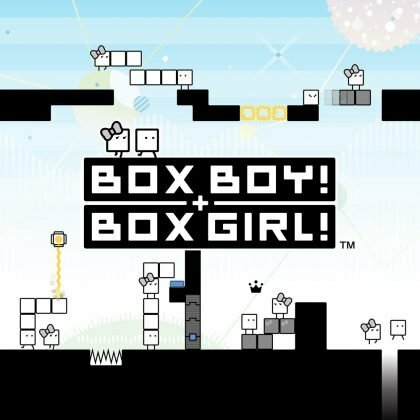 If you can chain several bombs together, you can take out a ton of Block Man’s health from the start. When he’s around half, he’ll transform into a giant stone creature. While it can be tough to hit its weak spot with typical shots, Blast Man’s Chain Blast homing ability allows the bombs to attach themselves easily so you can get through this phase fast. From there, getting through the last leg of the fight isn’t very tough, and beating him will grant you Block Dropper. From there, we go to Acid Man’s stage, which is probably the most difficult yet. Physics-changing underwater sections littered with spikes make up a majority of the stage, but they shouldn’t be insurmountable for most. 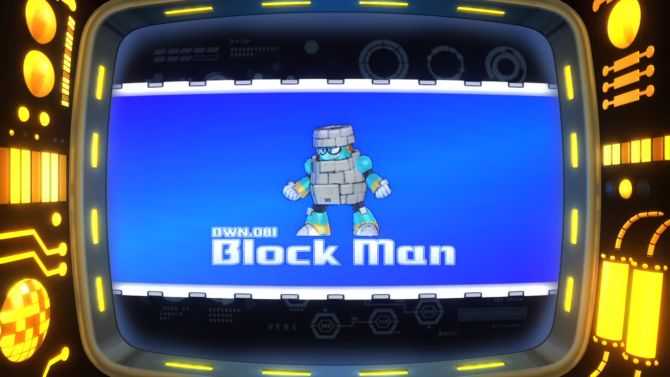 Block Man’s Block Dropper is really useful for taking out enemies at a long range, which helps in this stage and the rest of Mega Man 11 in general. As for the Acid Man fight, he can be pretty tough. He uses a shield as well as the speed gear, which both normally make him quite hard to hit. Block Dropper stops him in his tracks though, which definitely makes beating Block Man’s stage first useful. Beating Acid Man gives you Acid Barrier, a shield that will protect you from projectiles, as well as give you a curved shot that comes in handy in the next fight specifically. Impact Man’s construction-themed level has a really cool aesthetic, but will also start to test your skills more with some tricky moving platforms and electrical enemies. If you aren’t careful here, you will end up in a pit. Acid Man’s Acid Barrier helps curb some of the difficulty, while Block Chopper and Chain Blast can be used to take out those same enemies easily, so his stage will really be a culmination of all the abilities you have so far. 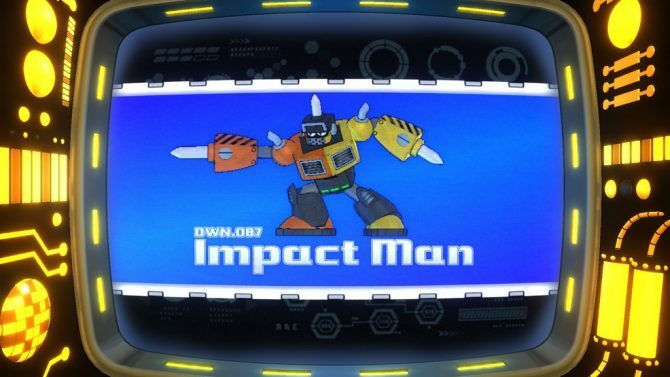 The Impact Man fight can still be pretty hard, as Acid Barrier is a more defensive power; that being said, it can still shoot over spikes Impact Man can put in the ground, which is helpful. With enough skill, you’ll be able to fell Impact Man, and you will gain access to one of Mega Man 11’s best abilities, the Pile Driver. It thrusts Mega Man forward for an attack and is very useful for both offensive and traversal purposes. It makes the next boss a cakewalk. You will also gain access to the Rush Jet after the fourth stage you beat. Bounce Man is actually one of the easier fights in the game, especially if you have Impact Man’s power. More so than other boss weakness, Bounce Man can easily be taken down with only three or four strikes from the Pile Driver. His stage isn’t too bad either, bouncing around constantly might be annoying if you don’t have a good grip on the controls, but you should be used to them by this point in the adventure. Bounce Man will try to bounce around the stage and grab you, but you can destroy him within just a few hits if you use the Pile Driver. Once you beat Bounce Man, you will receive Bounce Ball, which allows you to shoot multiple balls that act as projectiles and will bounce off walls. This attack lacks power but is great for clearing out enemies and should become useful within the last leg of your adventure. This stage should give you a nice breather in the middle of your adventure, but these final three stages do really ramp up in difficulty. Fuse Man’s stage is full of electrical traps and enemies that will shock the Blue Bomber and quickly deplete your health if you aren’t careful. 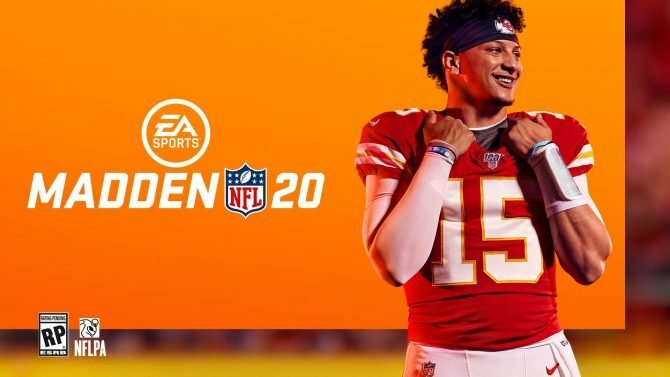 Timing movement right is key in several areas, so this is a stage that really relies on player skill more than anything else. Fortunately, the mid-boss can be taken care of quickly with Bounce Ball. The Fuse Man fight is also very fast-paced, with the Robot Master using the Speed Gear to quickly teleport around the stage. Using Bounce Ball makes you more likely to hit Fuse Man than other attacks, and also do slightly more damage. After beating Fuse Man, Mega Man receives Scramble Thunder, which lets him fire bolts of electricity on the ground or straight above him to create for some AOE damage. Next up is Tundra Man’s stage, which has a cool (pun intended) museum atheistic. This stage is covered in ice, so traversal can be tricky, but the Rush Jet, Pile Driver, and Spike Boots upgrade that can be purchased should make things easier. One part has players making several tough jumps onto ice platforms in quick succession, so definitely watch out for that. Once you get to the Tundra Man fight itself, the skating robot will use the Speed Gear to whisk itself across the stage. He can be a bit tough to nail down, but Block Man’s Block Dropper and Fuse Man’s Scramble Thunder can stop this. Beating Tundra Man also gives you access to Tundra Storm, which has Mega Man spawn a freezing whirlwind that can damage enemies or screen clear with the Power Gear. This is definitely a great ability to have when going into Mega Man 11’s toughest Robot Master stage and fight. Torch Man’s stage can be really tough to get through, especially for a not yet upgraded Mega Man, which is why I recommend doing it last. This stage is all about fire, having just as many exploding enemies as Blast Man’s stage, plus some situations with waves of fire that can kill Mega Man instantly. Using the Speed Gear is the best way to get through these really tough situations, while Tundra Man’s Tundra Storm will make very quick work of the boss mid-stage. During the fight with Torch Man, the Robot Master will fling himself across the stage with his own form of kung-fu, which can be tough to dodge without using the Pile Driver. Once he lands, quickly hitting him with his weakness, Tundra Storm will make the fight go a lot better. 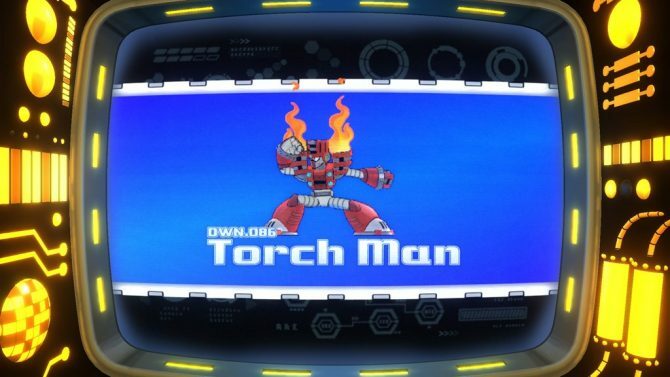 Once you beat Torch Man, you will be able to use Blazing Torch, a good offensive ability that hits enemies with a flaming diagonal attack. It’s a nice reward for beating one of the tougher stages and definitely helps in the stages leading up to the final fight with Dr. Wily. Beating Torch Man completes the circle, as Blazing Torch is good against Blast Man, starting Mega Man 11’s Robot Master cycle over. 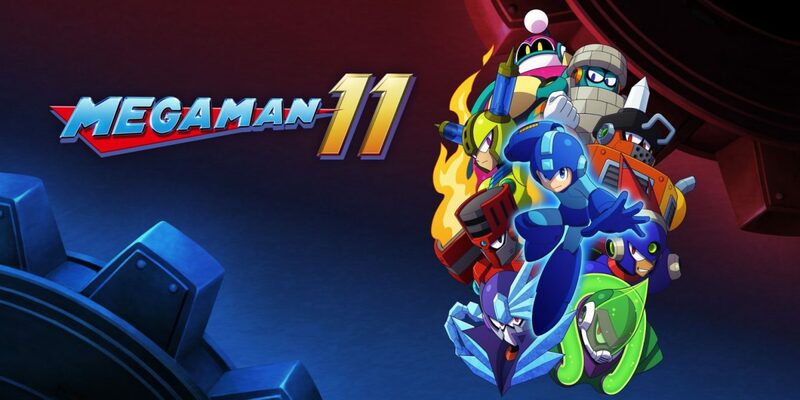 So there you have it: after a couple playthroughs of Mega Man 11, I have determined this to be the best way to go through the game’s Robot Masters. Do you have your own preferred order? Feel free to let us know in the comments below. 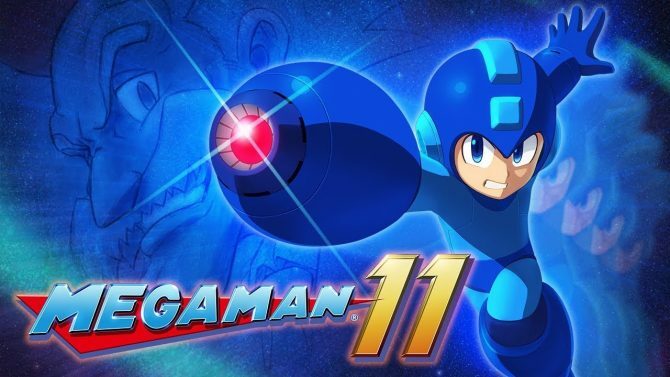 Mega Man 11 is available tomorrow on PC, PS4, Xbox One, and Nintendo Switch. 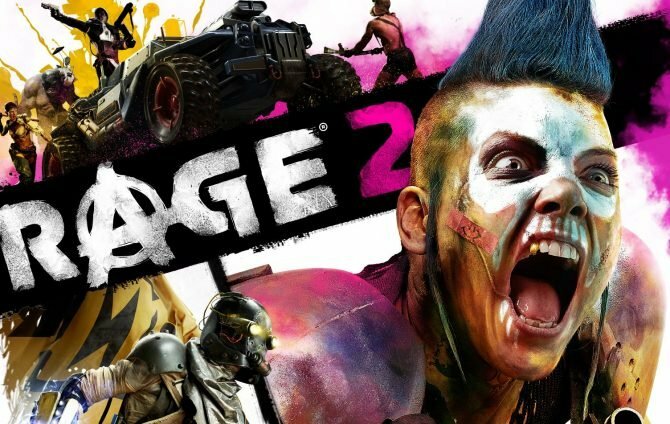 In the meantime, you can check out our review or pick up the game on Amazon.